An aerial view of the latest action at Krasnaya-Polyana. 1300 Local time, 12Feb43. 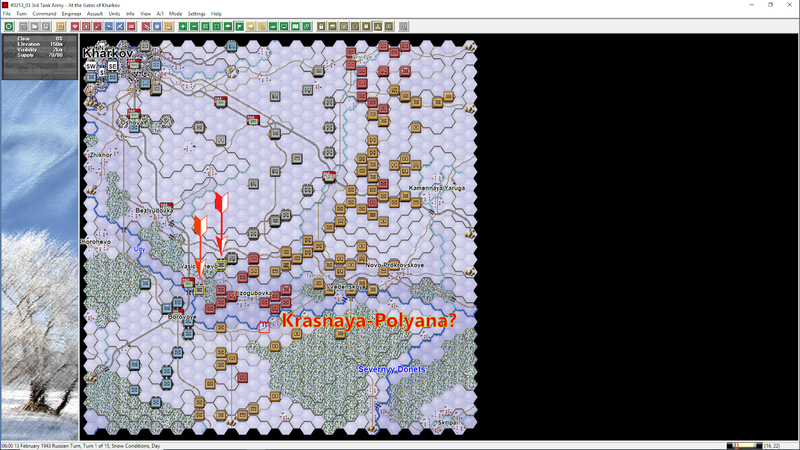 A very weak Soviet probe at Krasnaya-Polyana resulted in just two casualties for each side. 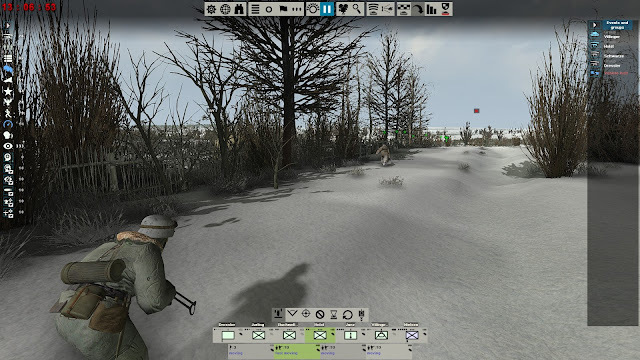 The prompt action of Lt. Holst and his platoon, prevented the Reds from consolidating a position on a ditch or dry river bed north of Krasnaya-Polyana. Men of the Holst platoon moving towards the troublesome north flank. Note how they move hugging the fences and treeline. Great friendly AI. A Jaguar 213 Tank Destroyer was disabled during its movement towards a support by fire position. Fortunately, it was repaired later and will be available for action at later times. Note the LAH icon on the side armor. Besides this relatively uneventful start of the afternoon, I wanted to check the location of this campaign. I'm awaiting for a couple of books to show up in my mail box, but in the meantime I used the highly acclaimed Kharkov '43 (Panzer Campaigns series by John Tiller Software) to get an overall view of the action. Right click and open in a new tab for a better view. Besides the grand-campaign covering all of the German counter-attack, there are a few scenarios that start on 13Feb43. One of them focuses in II Panzerkorps, from which the forces in Graviteam's Raid are focused. 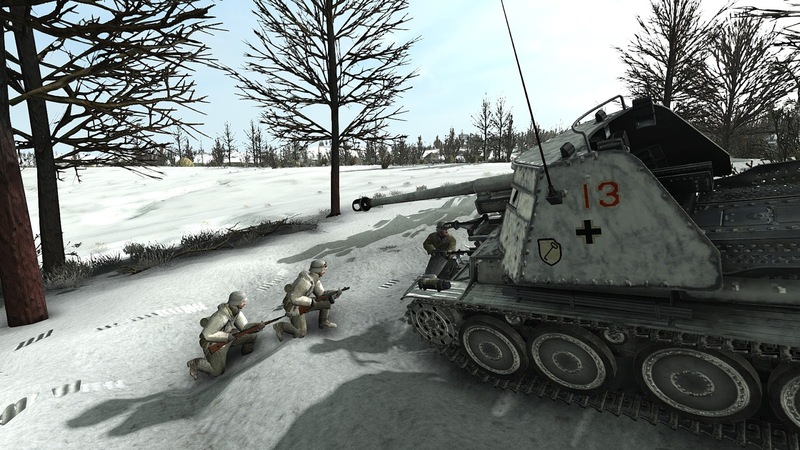 The Raid DLC features the III Battalion, of the 2nd Panzer Regiment of the LAH. The 2nd Panzer Regiment is noted by arrows in the two screenshots above and below. 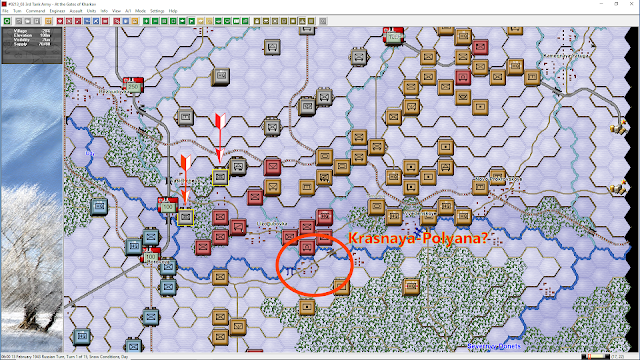 Unfortunately, in Kharkov '43 the location of Krasnaya-Polyana is not explicitly indicated. But based on other locations and the layout of the terrain it appears to be at the location indicated by a circle (?). 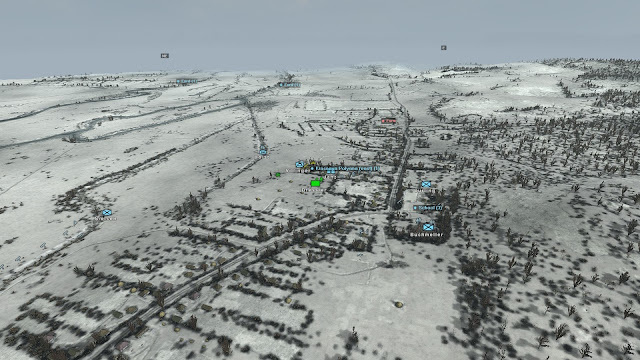 Thanks to Rich Hamilton (John Tiller Software Operations Manager) for helping me out with the setup of Kharkov '43. In Kharkov '43 on the map there are no Vodyanoe, Krasnaya Polyana and several villages at all. The bridge is located in the wrong place. And also the highway goes wrong. Krasnaya Polyana was located at the roads cross down to Lizogubovka. Thanks for your comment. Do you think the LSAH units (and also the 320 ID) should be a few kilometers to the west?